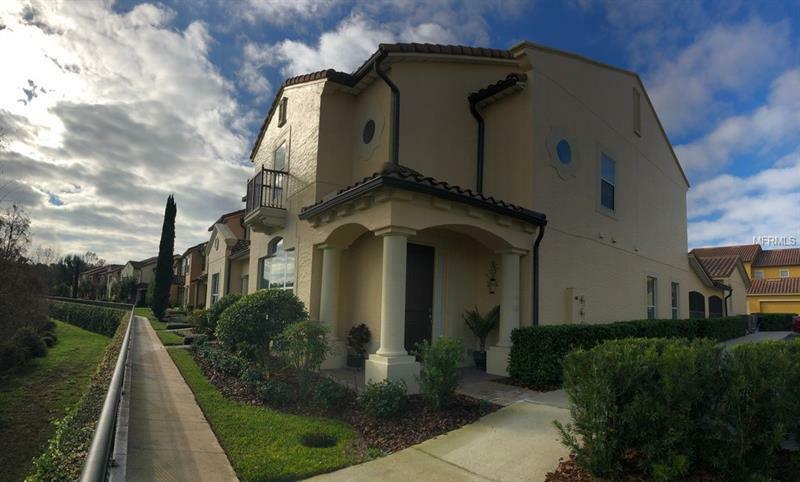 IMMACULATE 3bed/3.5baths END UNIT Townhome located in the Maitland's EXCLUSIVE award winning GATED COMMUNITY "Montacinoâ (aka Enclave at Maitland)! SPECTACULAR LAKE VIEWS from Living & Dinning and also partial views from the second story loft area! This two story home features HIGH Ceilings, STUNNING cherry HARD WOOD FLOORS and DOUBLE PANED WINDOWS with PLANTATION SHUTTERS throughout. Gourmet kitchen offers stainless steel appliances with state of the art CERAMIC STOVETOP with digital sensor touch controls; granite counter tops and upgraded cherry wood cabinets with wine rack; custom tile backsplash, and double stainless steel kitchen sink. Kitchen opens onto family room, facilitating entertainment and family time! SPACIOUS MASTER BEDROOM DOWNSTAIRS with large WALK-IN-CLOSET upgraded by "Closets By Design" with custom shelving and cabinetry. Master bath offers dual sinks with SILESTONE countertops, an enclosed shower and garden bathtub with decorative tile accents. Many Luxurious finishes such as: arched doorways, rounded corners, plant shelf, accent lights and neutral colors throughout. Upstairs you will find a lovely LOFT BONUS ROOM, perfect for an office/study/library/play area, etc., two additional bedrooms and 2 full baths. Home also offers a fantastic SURROUND SOUND and speaker system, CROWN MOLDING throughout the 1st floor & a CHARMING PATIO area. OVERSIZED 2 car garage with granite countertop cabinets! Excellent LOCATION with easy access to I-4. Contact us and schedule your private showing TODAY!